Working in the natural resources industry exposes your lone workers to many field and environmental risks—how fast can you send help? 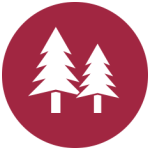 The Natural Resources sector comprises forestry, minerals, metals, mining and energy. Crews face many challenges working in isolated reaches around the world. Your job is to ensure the right safety policies are in place to protect your most valuable asset—your employees. The Mine Safety and Health Administration (MSHA) in the United States has already reported 10 worker fatalities in coal, metal and nonmetal mining for the first three months of 2015. Moreover, the International Labor Organization (ILO) reports that mining remains the most hazardous occupation in the world. Thousands of incidents occur annually that put lone workers in mining and forestry on disability. For some, sustained injuries prevent them from ever working again. Your teams often work in remote areas of the world where satellite coverage is the only way to communicate. Working in extreme isolation, often surrounded by machinery, dangerous goods and unpredictable weather—lone workers risk being trapped, without anyone nearby to notice. From geologists and land surveyors to loggers and miners, you are responsible for the safety of your team members who risk their lives everyday for your business, working in dangerous environments. Do you have the right procedures in place to immediately coordinate an emergency response to your lone workers when an incident occurs? To make a difference, no time can be wasted in managing your emergency response. Many organizations still use antiquated check-in procedures to ensure the ongoing safety of employees. This approach has proven it is not capable of responding fast enough, in real-time to make a difference for your lone workers. Optimized emergency response time is at the core of Blackline Safety’s solutions. We provide all customers with the ability to quickly respond to injuries, health incidents and even animal attacks, in the shortest time possible. 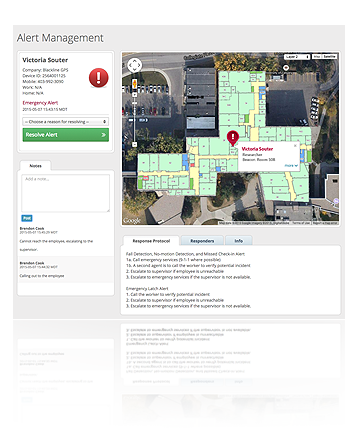 In Natural Resources applications where Blackline’s technology is used, responders can be directed in real-time not only to a precise outdoor location, but the exact floor and room an employee is located if indoors. Our technology shaves minutes, even hours, off response time, when lone workers need help—regardless of location. Blackline Safety is the only company to address safety monitoring scenarios, employee roles, locations and indoor facilities within a single platform. Your organization is unique. That’s why we work with you to meet your specific requirements. Just like your personnel, we work everywhere. Our turnkey Loner solutions complement rather than impose upon your business—all settings, including fall detection, are configurable in real-time, over-the-air to respond to your company’s needs. Our solutions monitor lone workers everywhere they work with cellular and satellite communications. Indoors, outdoors or remote locations—we have you covered. Our technology improves employee productivity compared to traditional check-in procedures. We are a one stop shop—our turnkey solution makes it easy to adopt safety monitoring. We do this every day, providing the consulting necessary to deploy on time and on budget. Our 24/7 Safety Operations Center can manage safety monitoring for you—around the clock. We own everything. From product design to infrastructure and services, this allows us to respond to customer needs in a confident and comprehensive manner. Our products are intuitive, easy-to-use and designed from the ground up for the energy industry. We designed our solutions for true field use—just one example is our best-in-class SureSafe™ light, which provides confidence to employees that their safety is monitored. The Loner Bridge System monitors the safety of remote employees by addressing the challenge in two ways: The Loner Bridge portable satellite base station manages a satellite uplink while the Loner 900 person-worn safety device monitors the real-time safety status of the employee. An industrial-grade 900 MHz radio link connects the two components, ensuring that employees can work up to two kilometers apart under real-world conditions. Plus, Blackline offers the ability for workers to operate indoors without sacrificing safety monitoring continuity due to a dropped wireless connection. 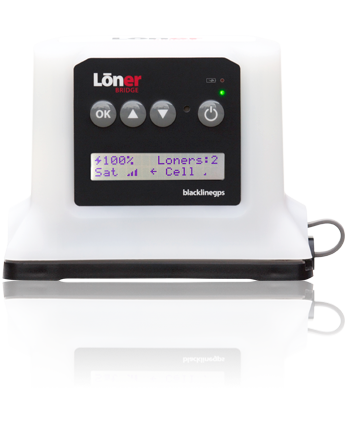 Ideally suited for a variety of environments in Utilities & Public Works, Loner 900 is the person-worn safety monitoring component of the Loner Bridge System. 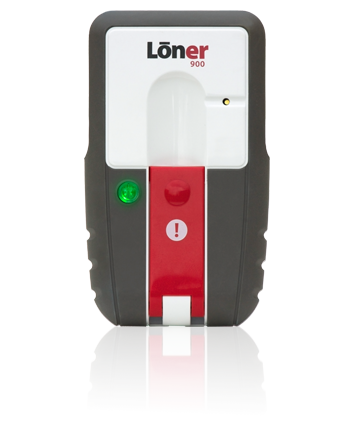 Certified intrinsically safe, the Loner 900 device features a combination of automatic incident detection and the ability to manually trigger a request for help. 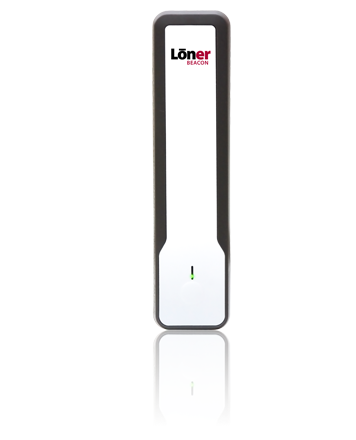 As a true last-mile solution, Loner 900 communicates with the Loner Bridge portable base station that manages a satellite uplink to Blackline’s monitoring infrastructure. When working inside or near facilities, GPS positioning signals are often imprecise or not available. If an incident occurs, knowing where to deliver an emergency response is vital to making a difference for your employee. Blackline’s Loner Beacon is the most cost-effective and precise technology to locate employees wearing a compatible Loner device within industrial environments. Loner Beacon provides seamless positioning indoors and nearby buildings with GPS when working outdoors. Blackline’s Loner Portal user account offers a powerful combination of employee safety monitoring and emergency response management capabilities. This industry-leading infrastructure was built from the ground up, empowering organizations to make a difference through efficient safety incident management. Loner Portal is highly configurable for all roles, applications, sites and divisions within the industry. We provide tools that enable employers to improve the outcome for workers who have suffered a safety incident, health issue or physical assault. We don’t prevent incidents but we are there to make the most of difficult and dangerous situations. How can we help your organization?